In the shadow of the recession, a great migration of sorts has occurred in the suburbs. Though, since the rows of houses were first built outside America’s city limits, this population turnover has been a long time coming. A Brookings Institution preview of the 2010 census released last year shows that the nuclear family out in suburbia with its kids and white-picket fences and two-car garages has been a mischaracterization for at least the last decade, if not longer. Racial and ethnic minorities now account for a majority of the population in 17 metropolitan areas, most in the South and Southwest, but regions like New York and the Northeast will soon follow. Also, since 2000, the number of 55- to 64-year-olds nationwide grew by nearly 50 percent. This past January, the first baby boomers turned 65. Brookings demographer William H. Frey talks to Blueprint America about his findings, and what all of it means to a new kind of suburbia. Tom McNamara: Freedom, the pursuit of it at least, seemed to bring about the suburban boom. But, Americans have always been after freedom. 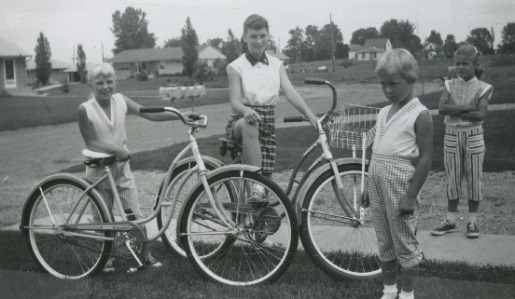 What was it about the 1950s that made “suburbia” the dream? William H. Frey: I think the idea of freedom was a draw. You had a new house and you were a new part of a growing metropolitan area. We like to idealize what was going on in the 1950s. After all, this was when the country was just building the Interstate Highway System — allowing people to go to the suburbs in the first place. It was after World War Two and the G.I. Bill enabled people to get homes at very low interest, as well. These were the parents of the baby boomers, so families were mushrooming all over the place. But it’s not all rose colored. What we often forget about is that most people who moved to the suburbs back then were white people, not minorities. There was a great degree of racial segregation. And it has been argued that many of the people who moved to the suburbs moved there to get away from the minority populations in the cities. McNamara: In a nutshell, this brings us to suburbia today. Minorities and new immigrants that lived in the city, America’s urban centers in the 1950s, have now spread out across the country. And, in great numbers, they have moved into the suburbs. Why? Frey: The American dream, to some degree, is still attached to moving to the suburbs. The reality of suburbia now is that the suburbs are really a microcosm of the whole country. There are new minorities coming in. For instance, Hispanics are moving to some of those suburban communities that had an entirely different race and ethnicity in the ’50s. Those Ozzie and Harriet couples are gone in a sense, but these new groups, like the Hispanics, have children too. There really is a kaleidoscope of demographic groups that characterize our suburbs today, when you just look at the suburbs as a whole, it’s really a hodge-podge. There’s always been this kind of transition in our neighborhoods — as one group moved out, another group moved in. McNamara: So, what happened to Ozzie and Harriet? Frey: Those early suburbanites who came to the suburbs in the 1950s, they’re entering seniorhood now. In fact, the biggest part of the suburban population will continue to be the older part of the population who moved there when they were younger and just stayed there. They’re aging in place. They’re part of what demographers are calling the “age-wave” — the aging of suburbia. For the most part seniors don’t move very much. The migration rates of seniors are very low. So for most people, even if they’re in their 50s or in their 60s, many have to be dragged kicking and screaming from their home. Frey: You’re talking about baby boomers, ranging in age from about 45 to 65. The first boomers just turned 65 this year, and they’ll continue to age in place — largely in the suburbs — as they get into their 70s and older. The boomers are a mix of people who either moved to the suburbs sometime during their adult years or have been there since they were kids — some of them never left! And they are also divided in terms of their economic status — there are rich suburbs, there are poor suburbs, there are suburbs that are made up largely of owned homes, there are suburbs that are made up largely of rented homes. The boomers are not a homogenous group even though they might have been homogenous at an early age. The suburban boomers are a group that has experienced a variety of lifestyle changes and choices. Many are single parents. Many are single people or divorced people. And there are of course still couples living in the suburbs. Empty nesters, too. The list goes on and on. The suburbs might have first been built for families with children, with parks and playgrounds and good schools. But now the population that lives in the suburbs has a variety of needs and they don’t just fit into that stereotype anymore. McNamara: The takeaway for me is that the suburban perception is no longer the same as the suburban reality. For example, this summer I was in the Atlanta suburbs along a strip of highway that was once home to a largely white, car-owning population. Today, however, the seven-lane roadway is home to mainly new immigrants who don’t own cars. As a result, jaywalking is their best transit option. What are the implications of this suburban demographic shift on our built environment? Frey: With respect to transportation, the suburbs of the past are not well suited for the suburbanites of the present. First of all, the new suburban demographic is not always able to have two cars in the family, or maybe not even one car in the family if they’re a new immigrant group. And, if they’re older, they may not be as well able to travel in cars and on freeways. Additionally, over time, of course, we’re going to hit the wall when it comes to energy costs in this country. Every time in the last 30 or 40 years, whether there’s been a big spike in gasoline prices, this conversation comes about that you aren’t going to be able to get to work if you live in the suburbs. People talk about, “Well, this is the end of suburbia.” And I think this just points to the importance of our transportation infrastructure and how it can be made to adapt to, perhaps, more clustered living within the suburbs. Or, at least, find alternatives to the car — because when I look ahead in the next 20 years or so, relying on building more roads to get more people where they need to go is not going to be the way we want to go. McNamara: It seems like the shift in our suburban population has largely happened — minorities and new immigrants are there already. And, in terms of our aging, the suburbs will only get older. What can we do? Are we prepared as a country? Frey: Well, not yet. The new minority populations are quite visible, especially in communities that haven’t seen these minorities before. However, their needs are often times difficult for people to understand. I think we can take a lesson from the Social Security and Medicare situation we’re in right now. Good demographers knew 30 years ago that we were going to be hitting the wall with these programs. But from a political standpoint we don’t seem to want to deal with them until our backs are absolutely against the wall. And I think that unfortunately may be the case with changing our suburbs to meet the needs of the people that live there today. An internationally known demographer, Bill Frey specializes in issues involving urban populations, migration, immigration, race, aging, political demographics, and the U.S. Census. He is also a research professor in population studies at the University of Michigan.